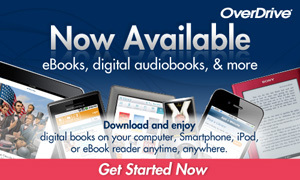 The Saluda County Library has e-books and downloadable audiobooks! The service is free to all library card holders. Simply click on the link below to browse the collection, check out with a valid library card (your pin is the last 4 digits of your library card), and download to PC, Mac®, and many mobile devices. Users will need to install free software. Titles can be enjoyed immediately or transferred to a variety of devices, including iPod®, Sony® Reader™, and many others. Some audio titles can also be burned to CD to listen on-the-go. Titles will automatically expire at the end of the lending period. There are no late fees! Get started today! If you want to read or listen to a book that is not available, call the library and tell us! If it is available we may be able to add it to our ebook and eaudiobook collection!